Priced at the most reasonable rate possible, the offered range of Worm Reduction Gearbox is known to have a high demand in the market. Manufactured using the finest raw materials and modern machines, in compliance with the set industry norms and guidelines, its quality never deteriorates. In addition, the offered range is known to have a fine finishing, sturdiness and durability. We are considered in the market to be amongst the leading providers and makers of this range of High Speed Helical Gearbox. For the purpose of maintaining this reputation, we engage in the utilization of high grade raw materials and modern machines, in compliance with the set industry norms and guidelines. Owing to this, the product has its quality highly standardized. 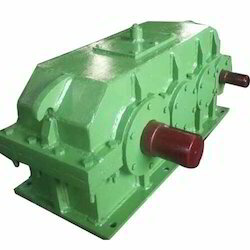 Our clients can avail from us worm Reduction Gearboxes that are developed utilizing premium raw material in different sizes with different ratios in adoptable types as well as fix foot mounted type. Used in diverse industries for severe operating conditions, our products are known for their robust construction, increased efficiency, flexibility, interchangeability, compactness, durability and reliability. Further, our products are compact and totally enclosed & metric in design that allow convenient and fixed location of the motor and mounted with bottom base foundation. 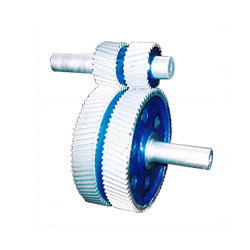 Our products also fulfill a wide range of output RPM and horse power requirements. 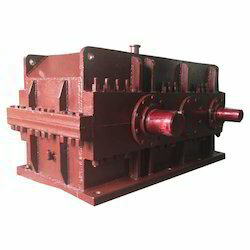 Moreover, our worm reduction units are developed for heavy load works and power transmission with latest technology. These are also able to tackle many troubles like leakage, heating, worm damage, shaft bending and low efficiency. Offered in the market at the most reasonable rate possible, the offered range of Rolling Mill Reduction Gearbox is highly acclaimed and asked for in the market. Manufacturing of this range doe in compliance with the set industry norms and guidelines, quality of this product never deteriorates. In addition, for client satisfaction, quality raw materials and modern machinery are utilized. 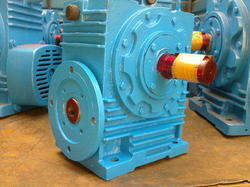 Looking for Reduction Gearbox ?